Get a taste of the different cultures and the richness of Malaysia's history as you travel the length of this lovely country! Travel in style and luxury with this superb package that showcases Malaysia's diverse cultural influence and history. Experience the opulence of the Peranakan in Malacca, the British colonial charm in Cameron Highlands and the majestic grandeur of the Straits Chinese in Penang. Along the way, see the contrasting views of Malaysia, from the dazzling modern city of Kuala Lumpur to the quaint simple countryside of Peninsular Malaysia. Your discovery of Malaysia begins when you cross the Johor Causeway into Peninsular Malaysia. After some brief formalities at the border checkpoint, your drive continues north through the southernmost Malaysian state, Johor. It is a pleasant morning drive that offers leisurely contemplation and relaxation as you make your way towards Malacca, a UNESCO listed heritage city – your first stop in your exploration of Malaysia. 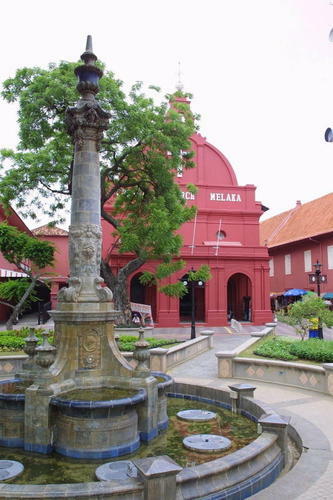 Be transported to another era as you visit some of Malacca's most historic landmarks in the afternoon. 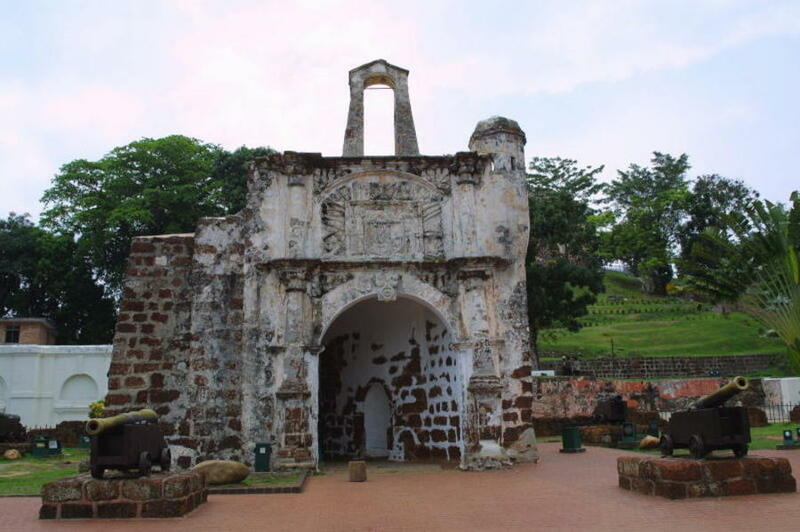 Walk through the gateway of Porta De Santiago, and explore the remains of the Portuguese fort built on St. Paul's Hill, a vantage point overlooking the Straits of Malacca. Visit one of the oldest Chinese temples in Malaysia, Cheng Hoon Teng Temple, and browse for knick knacks and souvenirs along Jonker Street. Immerse yourself in the living culture of the Peranakan Chinese and learn about their lifestyle and traditions as you visit the Baba Nyonya Museum. Then check into Puri Hotel, a boutique hotel showcasing the very best of Peranakan hospitality, where you will experience firsthand the comforts of a traditional Baba Nyonya house. Your day begins with a delightful river boat cruise after breakfast. The 45 minute cruise passes through downtown Malacca, allowing you to admire the bustling heritage town. After the cruise, you leave Malacca behind, going through the state of Negeri Sembilan, heading towards Kuala Lumpur, the capital city of Malaysia. In the afternoon, acquaint yourself with this fantastic city in a tour that traces its evolution from its humble beginnings of a mining and trading town to a major cosmopolitan city. Expect to see some of the major attractions linked to Malaysia's colonial past, and its journey towards independence, like the Sultan Abdul Samad Building, which housed the British administration, and the adjacent Independence Square, where the Malayan flag was first raised at the stroke of midnight on Independence Day. The square was previously the cricket grounds for the Selangor Club, a club founded by British administrators, which is still active in to this day. Other sites include the National Monument, a reminder of the sacrifices made by Malaysia's people for peace and prosperity and the Kuala Lumpur Tower, a remarkable feat of architecture from which you can enjoy a breathaking view of the city. 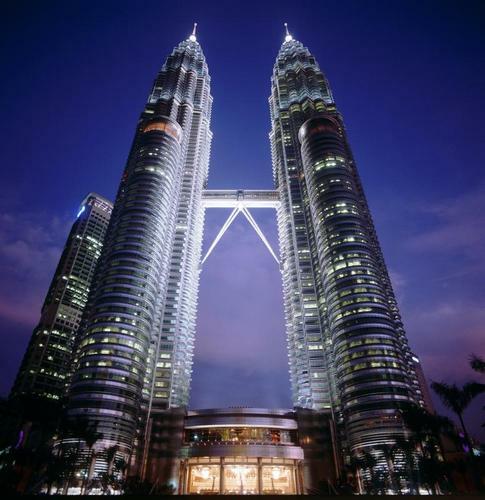 Survey the city from one of the highest buildings in the world – the Petronas Twin Towers! A skybridge that links the twin towers is open to the public, but is subject to availability as the entry is limited to a certain number of people daily. Lord Muruga, an important deity in the Hindu pantheon. This usually quiet temple complex is transformed into a vibrant sea of colours and sounds yearly as worshipers flock here during Thaipussam, a festival celebrating Lord Muruga's victory over a mythical demon. A visit to Royal Selangor, a renowned Malaysian company specializing in pewter products, with over a thousand different designs and creations, rounds up the morning's activities. Lunch is an exploration of Malaysian cuisine, as you dine at a local restaurant. See the city at your own pace after lunch. Browse through the myriad of selections available at the numerous shopping malls that dot the city centre, or sample local delicacies at local food outlets. There is even an optional tour available in the evening that showcases the cultural side of Kuala Lumpur, incorporating traditional Malay cuisine, a cultural performance and a visit to the city's Chinatown. Take a morning drive from Kuala Lumpur towards Cameron Highlands. The drive is approximately 4 hours long, taking you through the state of Perak, past Brinchang, the biggest town on the highlands, and finally ending at Tanah Rata. Highlights of the day will include a stop at a quaint aboriginal village and a tea-house, where you can sample Cameron Highland's distinctive teas. Check into the Lakehouse Cameron Highlands Resort, a Tudor style country house that will mesmerize you with its classic British colonial charm. Wake up to the cool and pleasant surroundings of the hills and then explore the highlands. Visit a tea plantation to learn the art of tea making, or take a stroll in the market and blend in with the local population. Bid goodbye to Cameron Highlands as you make your way towards Penang. The highlight of the drive will be a pleasant visit to the Orang Utan Island at Bukit Merah Laketown, Perak. End your day by checking into one of the most famous heritage buildings in Penang island, Cheong Fatt Tze Mansion. Named after its illustrious former owner, the mansion offers its guests to be pampered in the grand opulence of a sucessful Straits Chinese businessman of a bygone era. An entire day of wonders awaits you as you begin your tour of Penang. Founded in 1786, the island rapidly rose to fame as the Pearl of the Orient, one of the most illustrious jewels of the British Empire. Its rich history and culture led to the listing of its city Georgetown as a World Heritage City by the UNESCO in 2008. The city's unique blend of diverse cultures is evident as you visit landmarks like Fort Cornwallis, the starting point of British expansion in South East Asia, and the Khoo Kongsi clan house, the ancestral heart of one of the most illustrious chinese clans in Penang. Marvel at the docile pit vipers that reside within the island's legendary Snake Temple, and gaze in reverence at the world's third largest reclining Buddha statue at the Buddhist temple Wat Chayamangkalaram. Wander through the Pinang Peranakan Mansion, a museum showcasing the Peranakan Chinese lifestyle and traditions and immerse yourself in Penang's unique heritage. Spend your time walking the streets of Georgetown, sampling some local delicacies or relax at the many pocket beaches that line Penang's northern coastline. Remember to grab some last minute bargains at nearby shopping malls or gift shops before your transfer to the airport for your departure flight.